If you are on the hunt for a good backpacking tent that won’t destroy your budget, hang on because we have something for you. 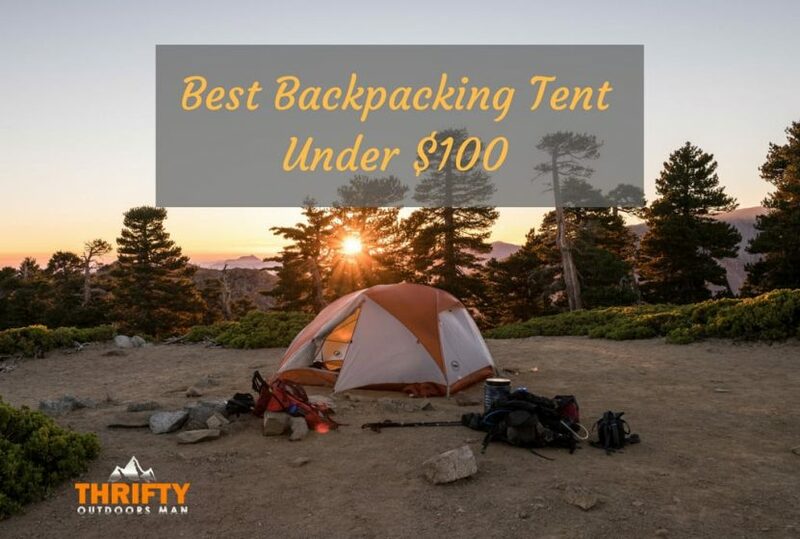 Let’s get right to it and take a look at some of the best options in terms of the best backpacking tent under 100 dollars. Let’s take a look at some of the best backpacking tents under $100 that you can get your hands on right now. Each of these is a great option in their own right, so let’s get right to it. This particular tent is a fairly roomy option to consider. The Featherstone Backpacking Tent can easily accommodate 2 fully grown people with ease. It makes for a good couples’ backpacking tent for a weekend in the woods. It actually comes with 2 doors, so you don’t have to worry about waking your partner by crawling over them to get out. This is something that not many other tents feature. At the same time, the Featherstone Backpacking Tent comes with 2 vestibules, so both you and your partner have lots of storage space to work with. Something else that really stands out about this particular tent is that it features a bathtub floor design; it is specially designed to keep you off the ground at all times, thus keeping you dry and warm. The Featherstone Backpacking Tent also comes with an extra rain cover to keep you dry when Mother Nature is not cooperating. We also appreciate how this tent features a hook in the center of the interior of the tent, a hook which allows you to hang up a light, so you have some good illumination inside of the tent. Yet another good option to go with, the Wolfwise Lightweight Backpacking Tent is one of the lighter and more compact options when it comes to transportation. It folds down into a surprisingly small package and it doesn’t weigh much at all. This makes things easier when it comes to transportation, storage, and setting it up. This particular tent has enough room in it for 3 larger people, which is quite impressive. It’s a good option for a small group of friends or family. Something else we like about this tent is that it is very easy to set up. This tent has been designed with user friendliness in mind, so you don’t have to go insane trying to set it up. Taking it down and putting it away is just as easy. When it comes to durability, this tent is made with 20D silicone-coated nylon cloth, which is extremely strong and water resistant. The fabric itself is waterproof. At the same time, you also get a nice rain cover for those rainy days. Moreover, this tent features aircraft-grade aluminum poles, or in other words, they aren’t going to break or snap on you anytime soon. The Wolfwise Lightweight Backpacking Tent has 2 windows to let in some light; it comes with a hook for your lights; and it has some small interior compartments for storage. If you are going camping with a couple of other people, this tent would be a great option to keep in mind. This is another cool tent to consider. The WEANAS Professional Backpacking Tent is labeled as a 4-person tent. If you fit snuggly, you can fit 4 people for sure, but realistically, it is more like a 3-person tent that can also fit the gear of 3 people. That being said, 3 people can comfortably fit into this tent. It is a really tall and long tent, making it ideal for some fairly large people. You can even change your clothes inside without too much trouble. When it comes to housing multiple people, this tent has 2 doors, which is convenient; this means not having to crawl over each other in the middle of the night or early morning to get out of the tent. The doors are double zippered, plus with your walking sticks, you can turn the front into a porch. At the same time, this tent also comes with a large front vestibule which is ideal for storing all kinds of gear. This tent also comes with some interior pockets for storage and a hook for a light too. The WEANAS Professional Backpacking Tent is made mainly with mesh, which is great for ventilation in warm weather. 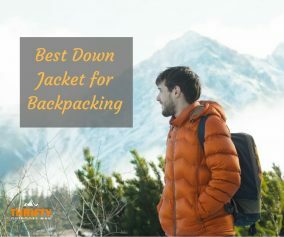 However, you can also use the secondary cover to protect from rain and wind, which is great for the cooler seasons and bad weather. The tent itself is made with really durable materials, so there should be no problem. The WEANAS Professional Backpacking Tent uses a special design which makes setting it up a breeze. The limited number of poles and quick-snap clips mean that a single person can set this tent up in 5 minutes or less. This is another great tent to go with, one that is advertised as being perfect for 4 people. While it is a fairly large tent, fitting 3 people comfortably is more realistic than 4, but it is still a nice tent. The Yodo Backpacking Tent is made with really durable tear-resistant materials, but it is also fairly well ventilated for those hot days. At the same time, it comes with a waterproof rain and wind canopy for the days where Mother Nature doesn’t feel like being nice. The Yodo Backpacking Tent is fairly easy to set up and take down, which is always nice in any situation. Moreover, this tent has 2 doors, so you aren’t crawling all over each other, plus it comes with 2 vestibules for storage. The vestibules can also help stabilize this tent when Mother Nature is throwing a tantrum. The interior of this tent also features 4 small pockets for a bit of organization. This tent might be simple, but it is still a prime option to keep in mind. When it comes to durability, the Alprang Backpacking Tent is probably one of the best options to go with. It is made of the best polyester around. This is a really rugged mountaineering tent that can stand up to harsh conditions with ease. 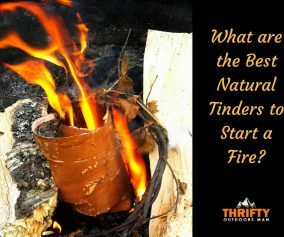 The material is 100% waterproof and won’t let the wind in either, making it a fantastic option for cold weather camping. 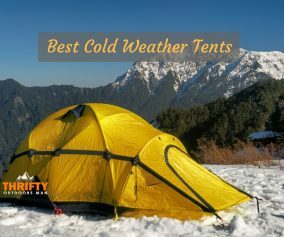 This tent is designed to keep you as dry, warm, and comfortable as can be. People like the fact that this tent features large roof vents and windows which means good ventilation, but they can be closed when needed. The two-way zippers, the storage pockets, and the dome design are all things we also like. You can almost stand up in this tent, and you can store all of your most valuable items. We also like the Alprang Backpacking Tent because it only takes a few minutes to set up and take down; it only takes around 10 minutes to fully assemble it. In case you were wondering, this tent is ideal for 2 smaller people or 1 large person. It may not be a huge tent, but it has some other great features no doubt. 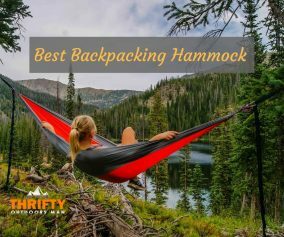 When it comes to the best backpacking tent under 100, all of the options we reviewed above are worth taking a look at. They each have their own benefits which you might like.